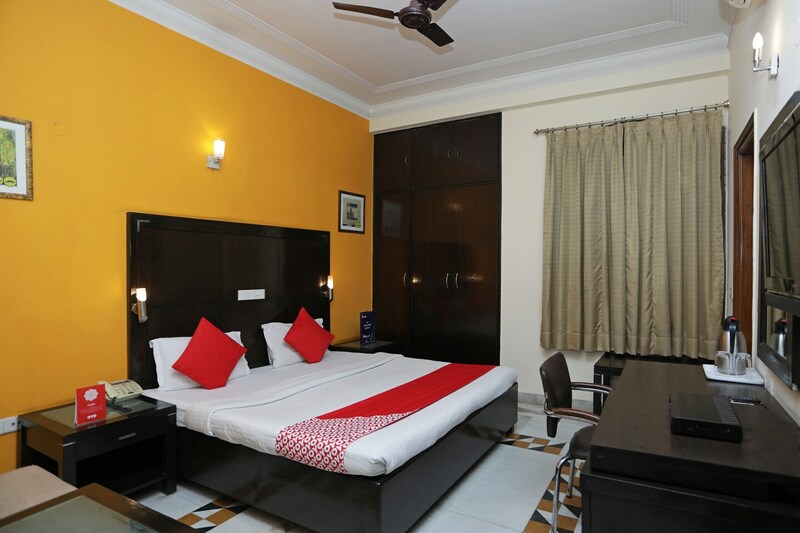 OYO 12075 Hotel Regalia Retreat is located strategically in Delhi to offer you the best services and comfort at affordable rates. The hospitable and friendly staff of OYO ensures your stay is pleasant. The property offers Complimentary Veg Breakfast, Card Payment, Free Wifi and more. Head out to visit the key attractions of Delhi like Lotus Temple, Shri Kalkaji Mandir and Khirki Masjid. There is HSBC Bank, Maxicon Container Line and Bank of Baroda ATM nearby the hotel so you are never out of cash.